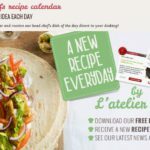 With cooking schools in St Paul’s and Oxford Circus, L’Atelier des Chefs have been helping London foodies indulge their culinary passions for many years. 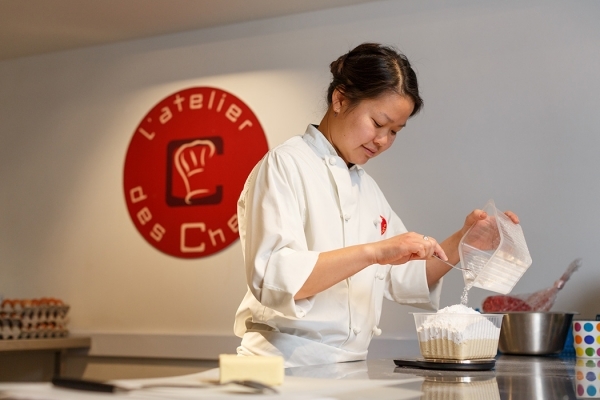 Whether you want to learn how to make the perfect macaroon for an afternoon tea party, knock up a tasty tea or prepare a mouthwatering banquet, Ateliers des Chefs have cooking classes to suit all abilities. 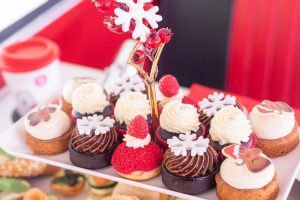 Novices to connoisseurs can learn the art of making perfect pastry, light and fluffy cakes to Sushi, Thai or French cuisine. 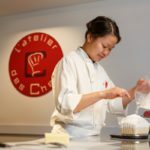 Dahlia Chang Tang has been delighting L’atelier des Chefs customers for the past three years and we are thrilled to learn a little bit more about what drives this lady’s enthusiasm.. I was always an enthusiastic eater, so my parents got me to help out in the kitchen at an early age. By age 6, I kind of figured out that I would never become the prima ballerina at the Royal ballet, so I thought becoming a chef would be a great option. I did give academia a chance before going to cooking school. I got my university degree and I taught English for a couple of years, before dropping it to attend a prestigious cooking school in France. What was the idea behind the various training courses? We like the fact that there is such a variety from learning how to prepare tea to a brush up on baking skills to something that could be served up in a restaurant. Tell us a little bit about the type of people who come on your courses and what are they hoping to achieve? 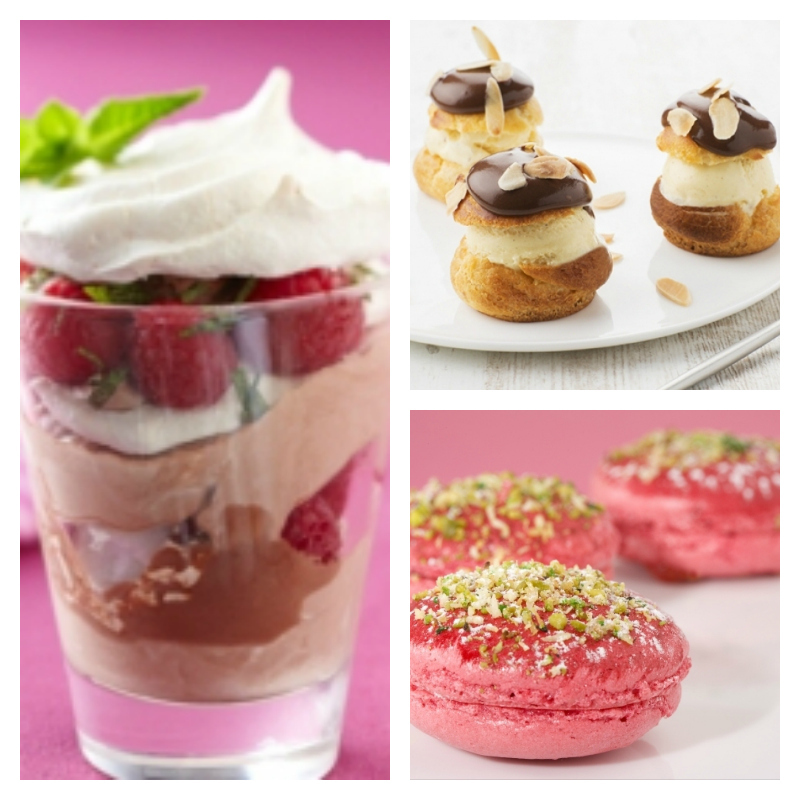 L’atelier des Chefs’ motivation behind cookery classes is to inspire people to become better home cooks. We try to cater to current tastes in cuisine, hence the variety, but we really want to get people cooking at home. We strongly believe that cooking and eating is a great way to socialise with friends and bring families closer. Generally speaking, home cooking is healthier and less expensive than eating out, and it is a great activity for unwinding after a busy day at work. Even if some of us may end up eating alone, it is always nice to treat oneself to a nice meal. My day starts with a quick catch-up with the front of house staff to confirm the day’s bookings. Then I weigh up the ingredients for the day’s classes. If there is time before the first class of the day, we break early for staff lunch. 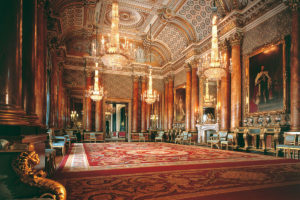 Then onto my favourite bit – the classes! My day goes until 6pm if I am on an early shift or 10pm if I am on a double shift. Do you have your own culinary heroes? What’s your favourite cuisine? My all-time favourite culinary hero is Julia Child. She has always been an inspiration to me, and was the first TV chef I was absolutely obsessed with. I cooked my first four-course meal at age 10 by cobbling together recipes from her television show. Although I started out as a Julia Child inspired French cuisine enthusiast, my tastes have evolved greatly over the years. However, rather than actual cuisines, I am really inspired by ingredients. Spices & herbs are a mainstay in my kitchen, so my cooking often veers towards the Indian/North-African/South-Asian side of things, but I am really influenced by the seasons. I like lighter and fresher fares in spring and summer, and will go for heavier, more comforting foods in the colder months. When you’re not working hard at Ateliers des Chefs, and if time travel were possible and money was no object, describe how you would spend your perfect girls day out. My perfect day out obviously involves eating at some point! Whether it is for brunch, lunch, dinner, or even snacks with drinks, I cannot meet up with friends and not have food. What we do on top of that really depends on the weather. Most of my friends love their food as well, so we might go to a market, then make our way to a museum or a gallery, or just laze about in the park with homemade snacks of course! If Dahlia has inspired you to raid your kitchen larder and switch on the oven, why not have a look at the many cooking classes available in London and then invite your friends for a fabulous feast. 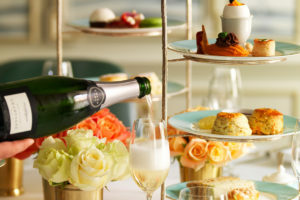 Ateliers des Chefs are giving Girls Afternoon Tea visitors a tasty 20% discount off all online orders (excluding 30 minute classes – well they are only £15). Simply enter Discount Code: ATEL20 when booking online. This offer expires 23 July 2016. View Atelier des Chefs Classes. 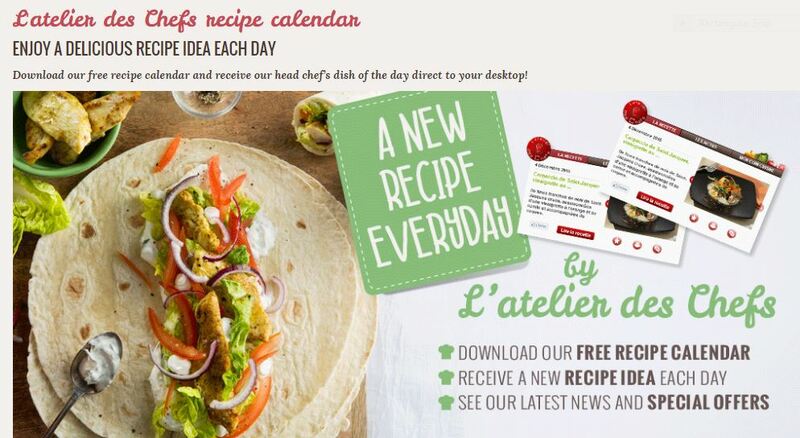 TOP TIP: Download Ateliers des Chefs FREE Recipe calender and get a great recipe every day.